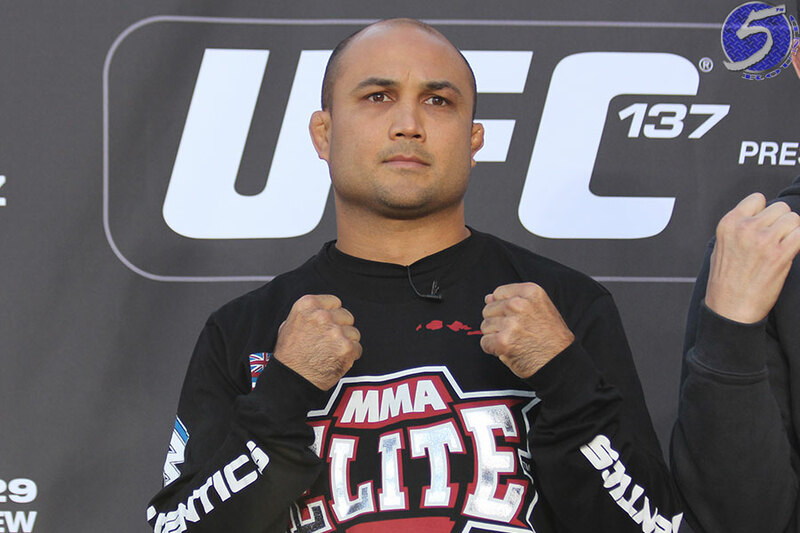 On Monday, the USADA announced UFC veteran BJ Penn (pictured) has accepted a six-month suspension for his illegal use of intravenous infusion during March 25’s out-of-competition drug test. “During an out-of-competition test on March 25, 2016, Penn declared the use of an intravenous infusion of a non-prohibited substance,” the USADA expressed in a statement (obtained by MMAFighting). “A subsequent investigation by USADA revealed that the intravenous infusion received by Penn was administered in a volume greater than 50 mL within a 6 hour period. Under the UFC Anti-Doping Policy, intravenous infusions in a volume greater than 50 mL within a 6 hour period are prohibited, except for those legitimately received in the course of hospital admissions, surgical procedures or clinical investigations. Intravenous infusions received in any other setting require an approved Therapeutic Use Exemption (TUE). Penn was retired when the UFC hired the USADA to administer year-round, random drug tests on their entire roster last July. One of the new rules during Penn’s absence is that IVs are no longer permitted in the UFC, even during out-of-competition periods. Penn was pulled from his UFC 199 contest against Cole Miller after receiving a “provisional suspension” from the USADA for last month’s failed drug test. “The Prodigy” is ineligibility to return as early as September 25, 2016, six months after he admitted his anti-doping policy violation to USADA.